It's an age-old dilemma. Graduates get their diplomas and apply for their first jobs only to find that most jobs require experience. But how do you get experience if no one will hire you? 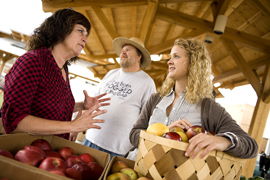 Virginia Cooperative Extension internships give you the opportunity to explore careers in nutrition, agriculture, environmental science, natural resources, family and consumer sciences or community and youth development. And you get paid. Our summer-long internships are credit-hour-eligible. So besides learning about your career options, building your resume and helping better your community, you can also earn college credit. During your stay in one of our 106 counties, your job as an Extension intern won't revolve around grunt work. You'll be helping Extension agents make a difference — whether on a farm or urban center — through programs like Master Gardeners, pesticide training, diabetes cooking classes, and 4-H camp. 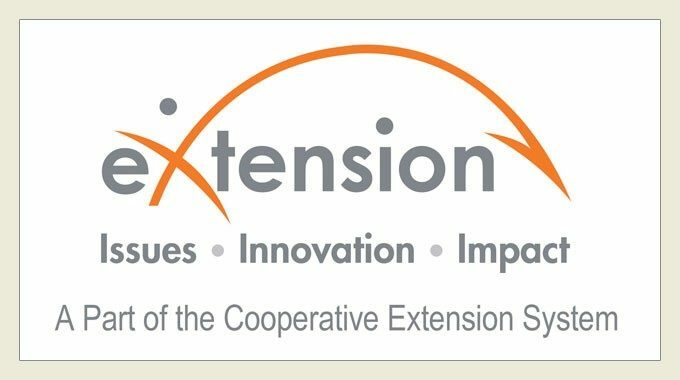 Through Cooperative Extension internships, you'll get a firsthand view of careers in Extension and do community-changing work with agents who are Virginia Tech faculty members. You might be helping a family and consumer science agent teach parents how to build a safer environment for their children or working with an agriculture and natural resources agent to protect the environment we all share, showing students how to avoid chronic diseases with healthy food with the help of a 4-H agent or helping community leaders set up and run a farmers market. If you're interested in a career in Extension, completing an internship will put you a big step ahead of the competition. We are constantly looking for talented individuals who want to enable people to improve their lives through an educational process that uses scientific knowledge focused on issues and needs. The listing of counties and cities with VCE internship opportunities are usually posted in late-February. Applications are typically due by late-March. Check the How to Apply website for specific dates. For more information about Extension internships, review the necessary job qualifications, check out the FAQ page and then get the application details from the How to Apply page. If you still have questions, contact Joe Hunnings, VCE director of professional development, at 540-231-9409 or e-mail hunnings@vt.edu.